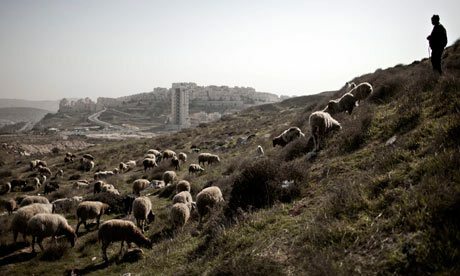 Shepherds herding their sheep, in the Ouja area of the Israeli-occupied Jordan Valley, were chased out of the open pastures by Israeli forces for no apparent reason, according to a local source. Aref Daraghmeh, a rights activist, told WAFA that soldiers forced the shepherds, who were accompanied in their herding by solidarity members, out of the pastures and prevented them from herding in the area. He said that the soldiers’ harassment of shepherds has become a daily occurrence in the Jordan Valley, which Israel is trying to empty of its Palestinian residents while increasing the settler population. Ma’an News Agency reports that Israeli settlers attacked Palestinian shepherds and prevented them from herding their flocks of sheep, on Thursday, in Tarami area, south of the southern occupied West Bank district of Hebron. According to local sources, Israeli settlers, under the heavy protection of Israeli forces, stormed an open field in the Tarami area and attacked two shepherds by repeatedly beating them. Sources added that the two shepherds are from Mur family, noting they had suffered bruises and various cuts from the attack. Sources stressed the increase of Israeli attacks against Palestinian residents and shepherds in southern Hebron, particularly in the Masafer Yatta area, where settlers prevent shepherds and farmers from reaching their lands and herding their livestock.